Any 2 Courses for £9.95, Main* with any Starter or Dessert. Any 3 Courses for £11.95 (*mains not including the Surf and Turf or the 10 oz Sirloin). The Main Meal can be selected from the following sections of the menu, 'Main Event, 'Vegetarian', 'From The Grill' (not including 10oz Sirloin or Surf and Turf) and 'A Fish Dish Maybe?'. Go to the bottom of the page to claim this offer! Located Minutes off the busy A1 Western Bypass at Red House Farm This "hidden gem" offers its customers quality offerings in all areas. 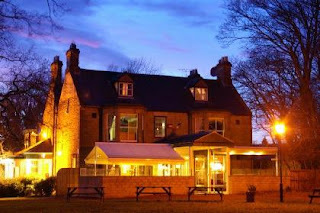 For decades, it has remained one of Gosforth's best kept secrets, serving as a welcoming watering hole for residents of the town's Red House Farm Estate and the surrounding areas. But now the word is officially out and discerning diners from across the region are discovering the culinary treasures of this stunning, hidden gem. Nestling in its own huge tree-lined garden the Northumbrian Piper combines all the conveniences of the contemporary city with a unique country-style feel, perfect for a relaxing get-together with family and friends or an uninterrupted business lunch. Re-launched by its new owners John and Lynne Griffin in July 2009 this historic venue now offers home cooking at its absolute best, with a mouth-watering menu of traditional favourites and modern cuisine, combining effortlessly to cater for all tastes and occasions.